Forty years ago, on the Victoria Day weekend, my family made the move from Regina to Calgary. I was about to turn eleven, and in 1974 the Internet was something known to only a handful of scientists. Cell phones were equally obscure. Punk rock was a concept just taking shape. Stores were closed on Sundays, and on most evenings. If you wanted a library book, you had to look it up in the card catalogue, and jot down the call number. Cars were huge. Families were bigger, too. Nobody had heard of global warming, 9-11 or ‘reality TV’ (perhaps my favourite oxymoron). The world was indeed different, then. Still, not everything has changed. We left Regina on a warm, sunny Friday morning and decided to stay in Medicine Hat that night. We drove into Calgary on Saturday afternoon, and it was snowing. Snowing. On the Victoria Day weekend? We couldn’t believe it. So Calgary’s erratic weather is still the same. Another thing that hasn’t changed is the government in this province. The ‘Progressive Conservatives’ (my other favourite oxymoron) had been in power for three years when we moved here forty years ago. And they are still in power, without even one break. My new novel After You’ve Gone will launch on Thursday, Oct. 9th, 7 PM, at Memorial Park Library in Calgary. There’ll be music and refreshments as well as myself reading — should be a lot of fun. 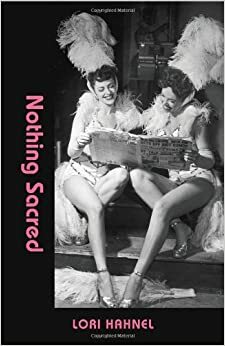 I’ll also be reading with Lee Kvern and Dolly Dennis at Owl’s Nest Books on Saturday, Nov. 1, and with Lee and Regina poet Tracy Hamon as part of the Glass Door Coffeehouse series in Edmonton on Nov. 27th. I’m hoping to set up a couple of more readings and will keep you posted as I get details. 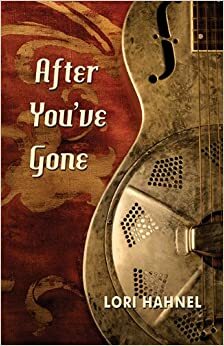 After You’ve Gone is now also available for preorder from Amazon. Writing in the Works took place on Wednesday night at Owl’s Nest Books. Another roaring success — standing room only crowd, great readings and awesome refreshments. Thanks as always to Elaine, Inge, Leslie, Susan, Sarah, Shaun, Robin and to Michael and his staff at Owl’s Nest. A fine time was had by all.